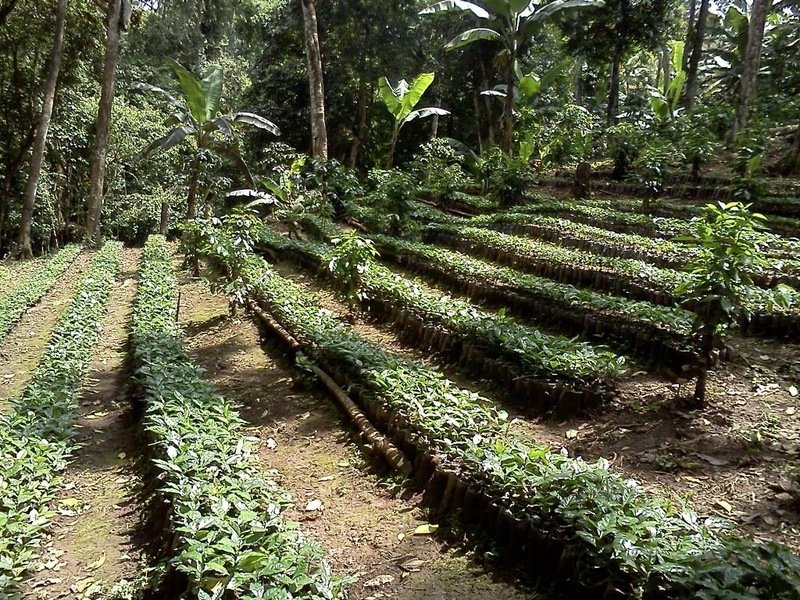 Our families have been farming coffee in the mountains of Matagalpa for several generations. I guess that makes us tenacious people, since farming coffee is a true labor of love. While many things have changed since our great grandparents started farming coffee, others have stayed the same. We have chosen to honor our traditions, as well as the great legacy from previous generations, by continuing to plant under the shade of native trees mixed with fruit trees. Thus preserving a sustainable ecosystem, which serve as habitat and food to numerous native and migrating species of birds and small animals. We also still plant, prune, clean, harvest and process our coffee by hand, as it was done in the old days. In the late 70’s, Nicaragua suffered a period of great political turmoil, culminating in a revolution. Like many families, both Yuri and Johanna’s families were greatly impacted by this, to the point where they left their homeland leaving everything behind. Both families found safe harbor in the United States, where they met again. Here they fell in love, got married, and had two children: Johanna and Fernando. From planting our coffee under the shade of the native trees in the Matagalpa mountains, we wait three years before we are able to harvest from each plant. It’s then that we get to take pride in the process of caring for each bean by hand picking, washing, and sun drying them in preparation to bring them to our beloved city of Austin Texas. Once in Austin, we roast the beans with care to bring out the true essence of our coffee, delivering an honest cup to our drinkers.